Meet Percy owl and his family. 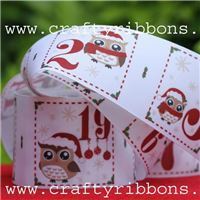 Adorable Christmas Owls with their Santa hats and scarfs. a kit for you to make Percy.